We met up with some of our past coworkers for lunch in Boston at the Nix’s Mate restaurant located at the Hilton hotel within the Financial District. It was the first time any of us had been to this place. I was a little nervous about them being busy for a Friday lunch outing – especially with a stroller and baby in tow – but it is a nice, big space with an open atmosphere. Fudge cookie and pink peppercorn ice cream sandwiches made for a baking contest at our office by my super talented baker of a coworker and friend, Jeff. The theme was “salt and pepper”. We decided to not call this particular event a “baking” contest because of the complexity of the theme. 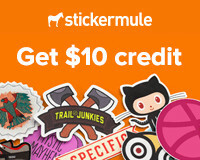 See, you could either use junk food to create something else, or you could make a representation of junk food (i.e. homemade peanut butter cups, etc.). Either way, it didn’t necessarily have to be baked. We did stress the rule that it had to be edible, but it didn’t necessarily have to taste good. I have to say that my coworkers love a good challenge; the people that participated in this one really put in a lot of thought and came up with some great ideas. It’s been a while since I’ve posted anything on this blog of mine, and there are several reasons for my lack of posts that I won’t bother going in to. One reason that I will share with all of you loyal readers (who, according to my site stats, still visit my blog despite the lack of new pictures and words – thank you! ): you see, I’ve been distracted by this damn stuff called yarn. You see, I have a stash of it and I have been on this knitting frenzy lately. I feel like making so many things. I’m taking the “exploring clay” ceramics class through the Office for the Arts at Harvard with teacher Kathy King (one of the funniest people I’ve ever met!) this semester. Yes I know, “another craft, Candice?” you ask. It was Candice vs. Jeff in the “vertical spiral cake duel”. I challenged my coworker, Jeff, to a “vertical spiral cake” baking duel and these photos are from the day we presented our creations. We were inspired by this recipe but we decided to put our own spin on it by doing different cake flavors and frosting. He created a classic yellow cake with chocolate frosting. I created a coffee flavored cake with a Nutella and marshmallow fluff frosting. The technique proved to be much more difficult for both of us than we had anticipated. Since we ended up receiving the same amount of votes in the end, we’ve agreed to have a rematch in the spring with a twist where we both have to incorporate fruit into our creations. To view more photos from this challenge, click here. Yes, I made those! Isn't that insane?! Cambridge School of Culinary Arts last Monday night (now haven’t I already told you that I work with some pretty cool people?!). It was taught by Marie Perfetti and in the CSCA’s traditional format where you’re handed a packet of recipes and you get to work on your own on a specific recipe. Now I know that this format isn’t for everybody, and I will admit that at first I was a little bit disappointed by that fact at the beginning of this class. But in the end, I accepted the fact that it wasn’t a class meant to focus solely on techniques for working with chocolate. Instead, it’s more of a way for you to learn how to make things with chocolate and you do learn little bits of technique and terminology along the way. 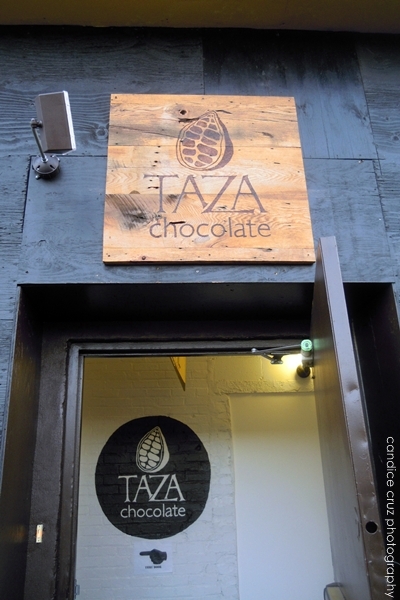 Last week, a few of my coworkers and I went on a tour at the Taza Chocolate factory not too far from our office in Somerville. We are all big fans of their delicious bean-to-bar chocolates, so it was neat being able to see the behind-the-scenes action. You can smell all of the delicious chocolate in the air the second you step foot into the store. They have quite a range of products available and it was nice being able to see all of them in one place since I’m used to usually seeing just the disks or bars near a cash register at a store. And what was even better than that? Free samples of a lot of the products readily available!